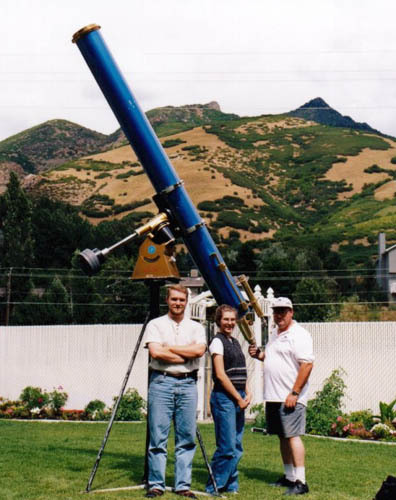 Robby, Becky & Siegfried in the backyard with the 9" 1915 refractor. 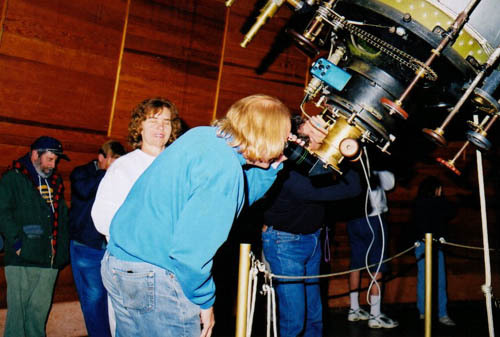 Close up of the back end of the 9" Clark refractor. 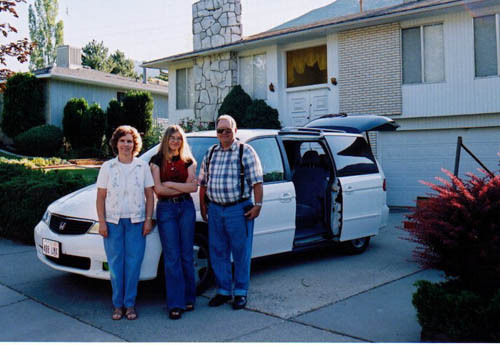 Corina, Becky & my brother Bruno. 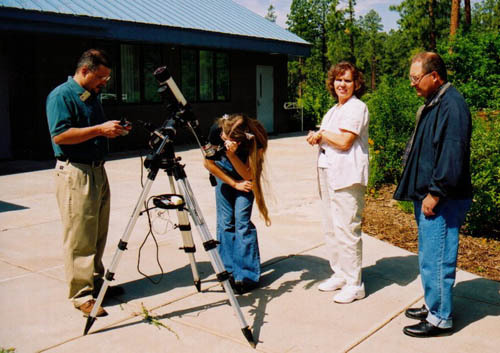 Getting ready to leave for Lowell Observatory. 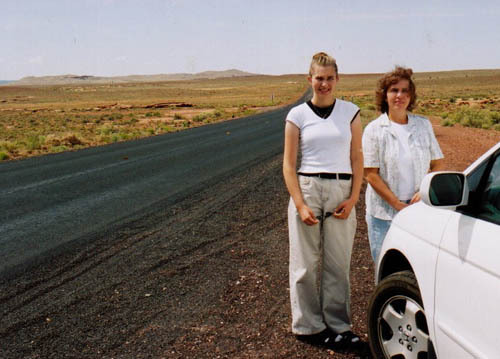 Approaching the meteor crater. The crater walls are visible in the background. 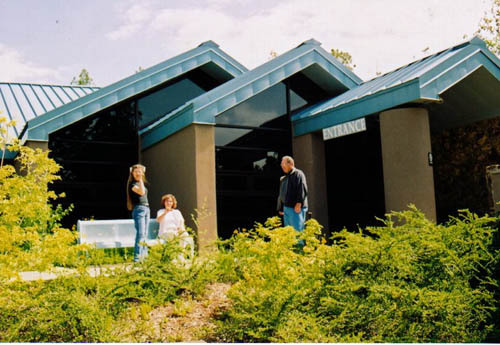 Main entrance to the visitors' center. 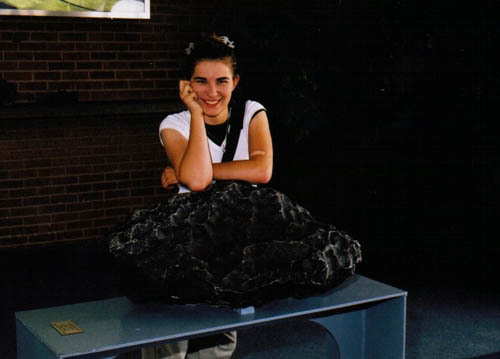 Becky w/ a 1,406 pound chunk of the Barringer Meteorite, the largest single piece ever found there. 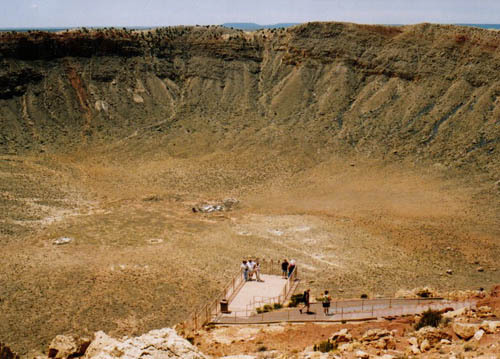 The crater. 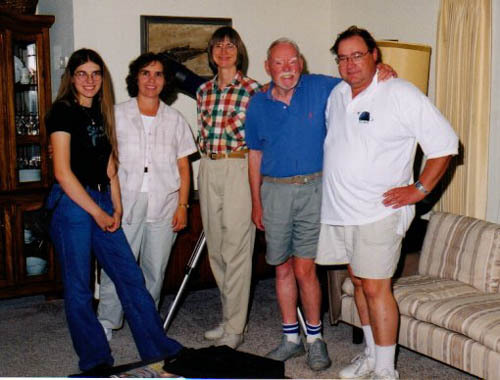 That's us (Becky, Corina & me) on the lower level. 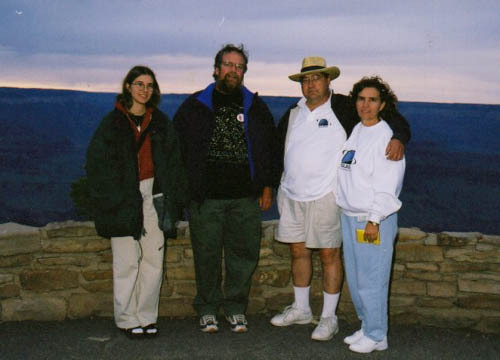 At the Grand Canyon with Dean Kettleson, organizer of the GCSP South Rim. Taken Friday night under heavy cloud cover & strong winds. No star party that night! 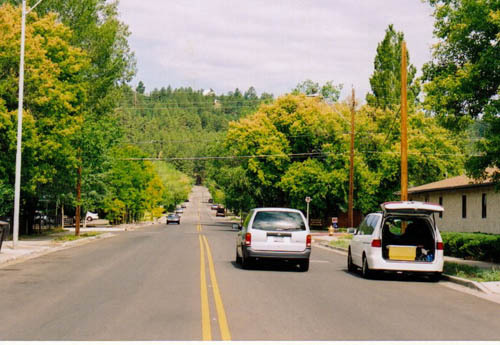 On the road to Lowell Observatory. 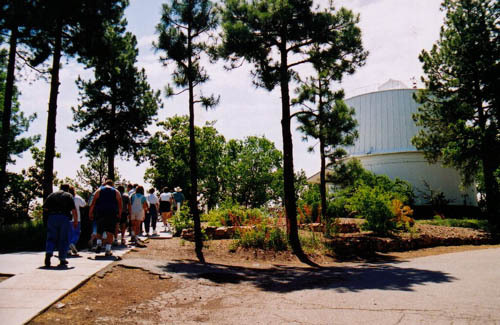 The 24" dome can be seen through the tree line. 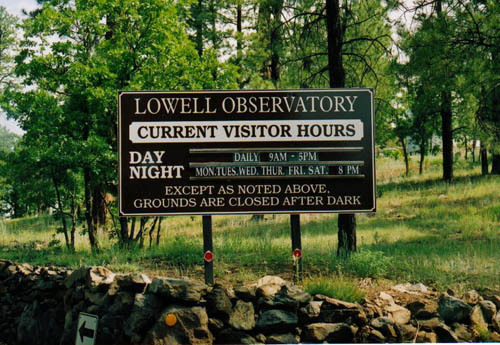 From 9:30 - 10:00 Lowell provides this scope for solar viewing. 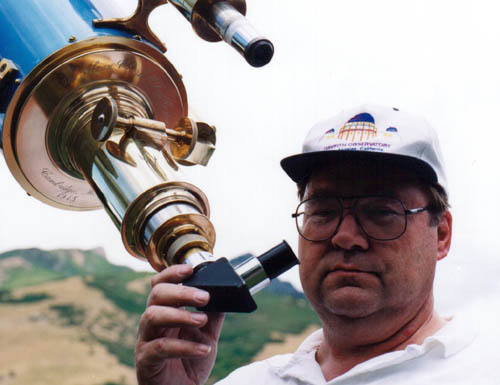 It has a hydrogen alpha filter attached for prominence viewing. 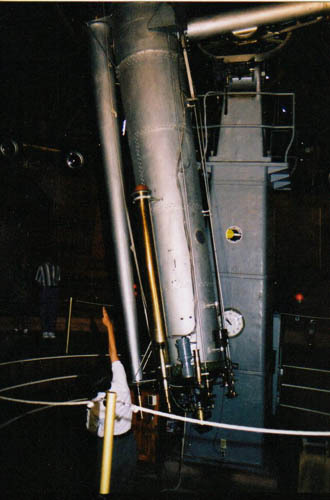 On the way up to see the big scope. 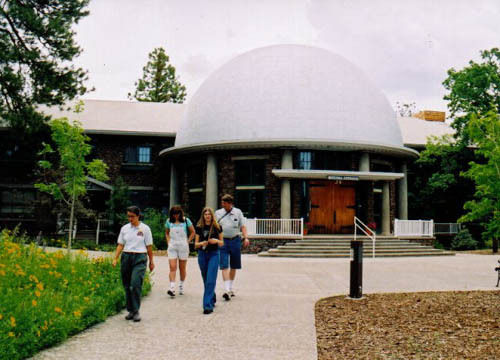 Originally the dome was floated on salt water. After only 2 days it leaked and that system was replaced. 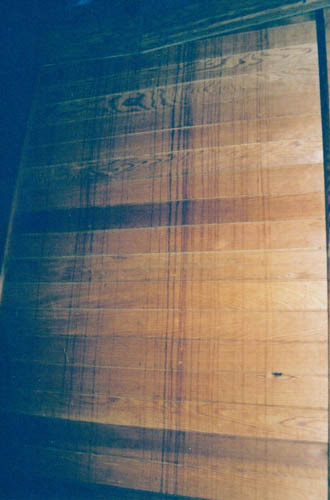 The water damage stains remain. 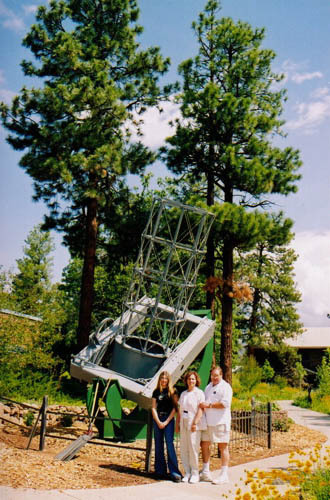 Part of the tour showing off the 24" telescope. This is a sight! 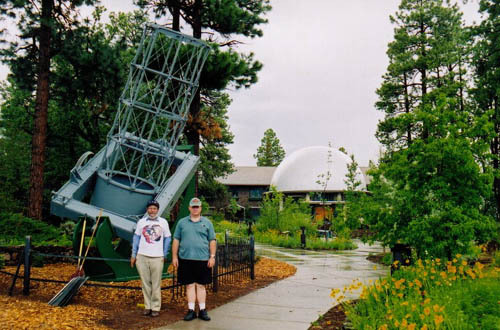 Corina & me in front of the 24" observatory. 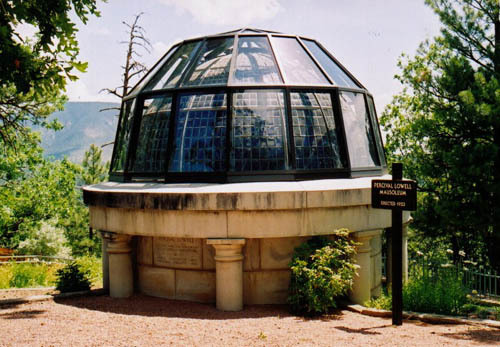 Percival Lowell's burial spot is just outside the 24" dome. He is not buried "in" the pier. 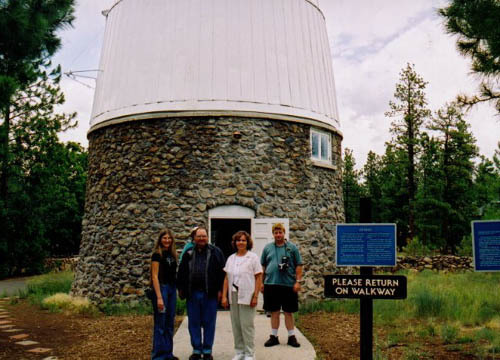 Becky, Bruno, Corina & Scott Crosby in front of the 13" Pluto discovery observatory. 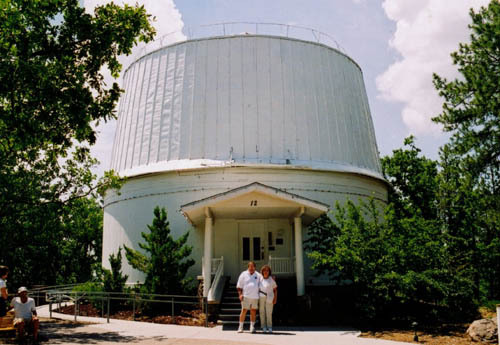 Becky, Dave Dunn & Carol Priest walking back past the Rotunda that was Percival Lowell's office. It was starting to rain.